The Strathclyde University Sports Union covers about any sport you can think of. Huge numbers of students sign up and become involved with sports at the University, and some are already accomplished in their fields of sport before they arrive at the institution. Jess Liddon is one of these people. Studying electronic engineering, Jess is now in first year at Strathclyde after her year abroad, but there is far more to this Strathclyde student than that. 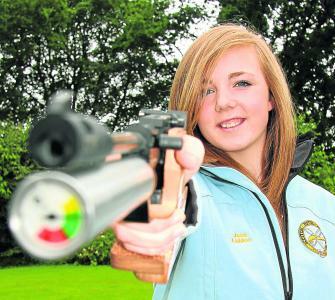 Alongside her sister she recently competed for Great Britain at the World University Shooting Championships. While for some, the sport of shooting may not be the first on their list, Jess speaks of it with a passion and energy that many, myself included, do not seem to put into sports that they do take part in. Her passion has catapulted her to a very high level however, and she is interested in attracting others to engage in the sport of shooting. It is clear that shooting is certainly her passion, and thus setting up a club for that very purpose is high on the agenda for her. The enthusiasm that Jess herself, and the Sports Union have for sport in general, must bode well for both parties. In Jess, there is a charismatic, successful young girl with a bright future ahead of her, and that can only benefit the University, the Sports Union, and any aspiring shooters looking to be involved with the sport at University. So what lies ahead for Jess in relation to sport at Strathclyde? Strathclyde has an illustrious history of successful sports stars, and an enormous variety of sport clubs. The positive influence sports and the sports union have on the University as a whole is encouraging, as is the eagerness of the participating students. With the emergence of a vastly talented young sportswoman, with a sport new to Strathclyde, it seems like that illustrious list may just have gotten longer. Posted in Sport and tagged shooting. Bookmark the permalink.